George Osborne is to announce the Government’s emergency budget today. Although the Government has been seeking to emphasise measures which will soften the blow to the poor, the fact remains that these are the biggest cuts in decades and that many will end up worse off, particularly if wages decrease and unemployment increases. Update: The full budget can be downloaded here. The section on benefits starts at page 33. The Government is to cut benefits by £11bn by 2014-15. The huge cost of benefits (“spending on social security and tax credits has increased by 45 per cent, around £60 billion, in real terms over the past 10 years. 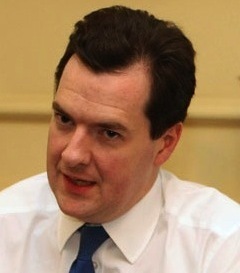 ), the Chancellor told Parliament, were one of the reasons why there isn’t any more money in the Government coffers. The Health in Pregnancy grant will be abolished from 2011 and Sure Start will be limited. Child Benefit is to be frozen for the next three years. Disability Living Allowance will be restricted by a new medical check from 2013. The Chancellor has said he will “increase the incentives to work” and will reassess benefits on the basis of the Consumer Price Index rather than the Retail Price Index. Housing benefit will be limited significantly and maximum limits on what can be claimed are to be introduced for the first time. Rosalind English posted two weeks ago on whether budget cuts will lead to revised calls for “socio-economic” human rights; a concept which is as old as the European Convention on Human Rights and just as controversial. We will now revisit that post. In a recent Guardian Article, The changing face of human rights, Afua Hirsch comments with approval on the 2008 recommendation by the Joint Committee on Human Rights that a new UK bill of rights should include the rights to health, education, housing and an adequate standard of living. Rosalind English asks whether the time has indeed come for “economic” human rights. Ms Hirsch cites a number of examples around the world where such “social and economic rights” have been used successfully to challenge government policy on the distribution of healthcare, housing and benefits. Why, then, she asks, is such an extension of our existing rights so strenuously resisted in this country? When the United Nations Declaration of Human Rights was adopted in 1948, the world welcomed the idea of articulating the minimal requirements for human freedom in an international instrument. The UNDHR enshrined the political and civil rights that were the focus of the French Revolution Declaration of the Rights of Man and the United States’ Bill of Rights. “Human rights”, thus enunciated, were the proverbial motherhood and apple pie. There was nothing to quarrel with. can most effectively assist the right of all persons to work, to education, to social security and similar social and economic rights, which cannot by their very nature be defined in the form of legal obligation for States in an instrument such as an International Bill of Rights. Two decades after the UDHR was passed, its twin progeny were born: the Covenant on Civil and Political Rights and the Covenant on Social and Economic Rights. The former is broadly adhered to in the free democracies of the west. The latter finds itself bemoored in the sterile waters of international law, and the unenforceable constitutions of the developing world, which in turn were modeled on the aspirational lists of “rights” accorded to the citizens of the Union of Socialist Soviet Republics and its satellite states. We all know how effective those “rights” were for the unfree citizens of Iron Curtain countries. And who would guess that the inhabitants of the slums of Dar es Salaam and the famine struck victims of Mugabe’s regime enjoy the protection of the African Charter on Human and Peoples’ Rights, which features in Article 16 the right to the “best attainable state of physical and mental health,” and similar language in Article 14.1 for the right thereto of every child? So what is wrong with the notion of rights to social amelioration, as opposed to rights to respect for life and privacy and so on? Or more importantly, why has the idea of “human rights” become so divided, its divisibly defended and attacked with such vehemence on all sides? More heat than light has been poured on this question over the years, although in truth, it really isn’t a question at all. Whereas the world’s most influential Western powers were agreed on the provisions of the first Covenant, there was considerable controversy over the second, the argument being that the most one could do is state economic and social aspirations and goals, given the contingent nature of what they concern. It seemed to many critics that according people a “right to work” in economic circumstances where there are no jobs is futile at best. The truth is that there are no examples of “pure” social and economic rights being successfully enforced through the courts that would not have fared equally well, or better, under the civil and political rights of the more traditional instruments. The frequently cited HIV retrovirals case in South Africa reflected nothing more than an extremely efficient and well-coordinated class action brought by the pressure group Treatment Action Campaign in respect of a very specific product – the antiretroviral Nevirapine – against a very specific (and internationally scorned) government policy vis-a-vis a specific disease. It was serendipitous that the parties chose as their battleground the provision in the South African Constitution that related to health care. Had such a situation prevailed in this country it could just as easily been fought and won under Article 8, the articulation in the European Convention of the right to physical integrity. Or to put it another way, any attempt mounted in Africa – even in the much-admired the South African Constitutional Court – to challenge the inability of the ruling class to combat the spread of a much deadlier killer, TB, would be doomed to failure. Why? Because the cure for TB cannot be found in the pharmaceutical catalogues, but in the coffers of the state treasury, because there’s nothing that Mycobacterium Tuberculosis likes more than mass poverty. The fact of the matter is that socio-economic rights cannot really qualify as “human rights” at all. To be “human”, rights have to be practical and universal. Socio-economic rights do not meet the test of practicability, because they are generally unenforceable. Nor do they meet the test of universality, because the extent to which a society can provide economic goods for its members must depend on the availability of resources within that particular society. In a global recession, their significance is diminishing to the point of disappearance.